Why choose a Dynamic Display System? Dynamic Display Systems was founded in 1998, but its' seeds were being planted much earlier. Originally artisans, Paul and Leslie first showed their artwork at a major exhibition in 1982 and ever since then it has been one display after another. As time went on, they grew older and more tired of displays that seemed endless in their assembly and that were always missing something. After nearly 20 years of exhibiting, Paul and Leslie came up with a list of necessities they felt the perfect display system would incorporate. They searched for such a display but nothing existed. So, necessity being the mother of invention, they created The “Ultimate Pedestal” and “Ultimate Jewelry Case”. Hence the birth of Dynamic Display Systems and a wonderful new group of products designed to provide you with a unique and easy way to display 3 dimensional artwork, sculpture, small precious objects, and jewelry. Collapsible – So it takes up very little space. Lightweight – So you don’t pay a lot to ship it. 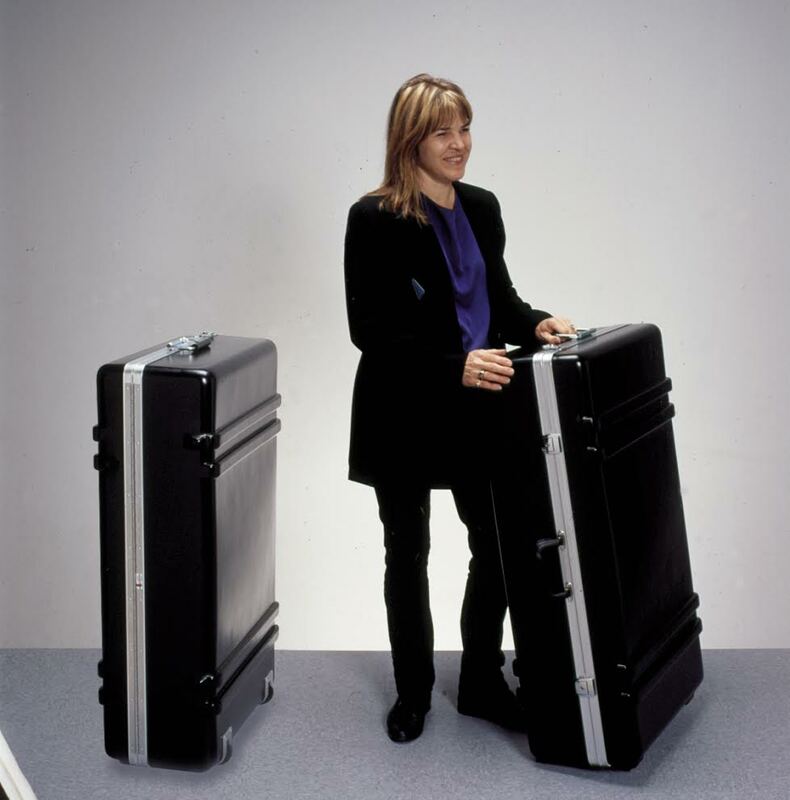 Shippable – Packs in standard shipping cases and meets UPS/FEDEX size and weight regulations. Durable – So it can support heavy items such as sculpture easily and provide a sturdy base. Economical – Buy it once and use it forever. There are no parts to lose or wear out. Storage Space – Available inside the pedestal base. Customizable – Customize your look with skirts or panels to enclose the pedestal base. Attractive – Elegant without detracting from the work being displayed. Easy to use – No small parts to lose or assemble. Units collapse in seconds. The result is an easy to use display system with classic lines and modern durability. At Dynamic Display Systems, we are proud of our products, our craftsmanship, and the service we can provide to you. We do not believe in “designed obsolescence”. Our products are built to last and made of the finest materials available. Because of the high quality of our products, clients are using them not only for temporary displays at trade shows, but proudly in their galleries and homes. These stable, elegant displays are also being used for public exhibits at airports and museums. As time goes by, we find ways to make life simpler and better. These are great products that can save you money, enhance your business image, make your products look great, and decrease your workload. Look for our newest display ideas – shelves and stackable jewelry cases here on our website. Because of the variety of options in our line, every order is custom assembled. Turn-around time is approximately 3 weeks. Call soon! We are filling orders on a first-come first-served basis.